May Keenan (1924 - ). 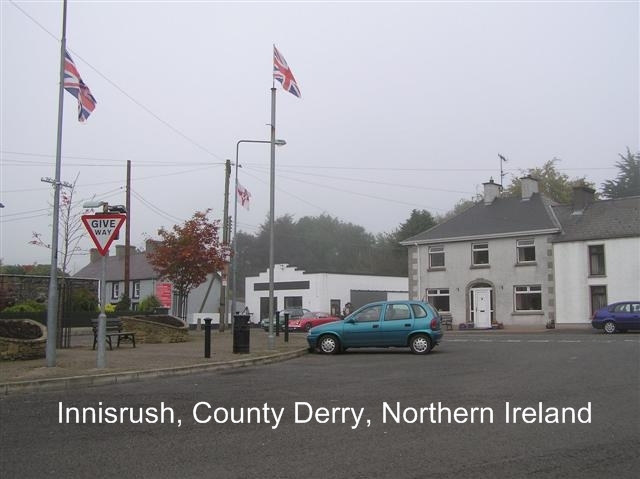 May still lives in Portglenone, or, to be more precise, just out of Portglenone, at Inishrush, County Derry, Northern Ireland. 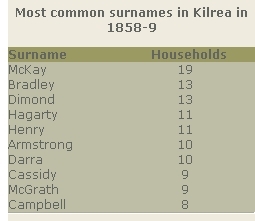 Apparently, she is the last of the "Glenone" Keenan's. See	photograph taken in October 2002 by Peter Keenan of Australia. 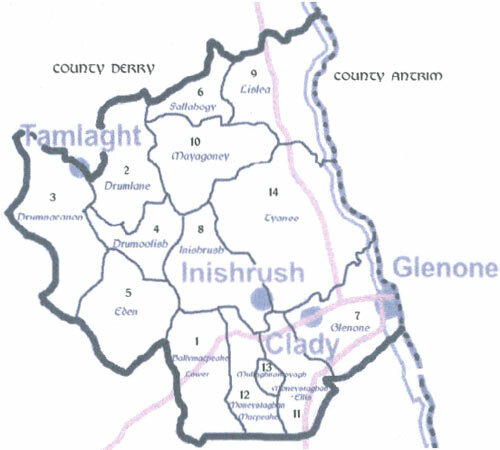 The Inishrush Townland is a short distance north of the Glenone Townland. 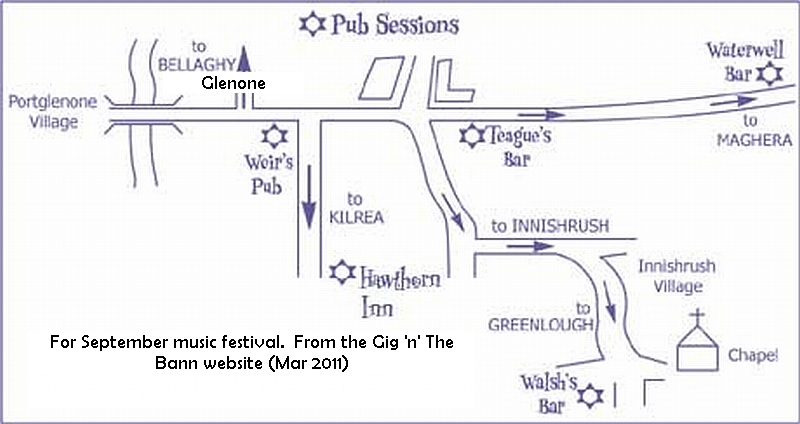 Glenone is understood to mean "Meadow of two rivers". 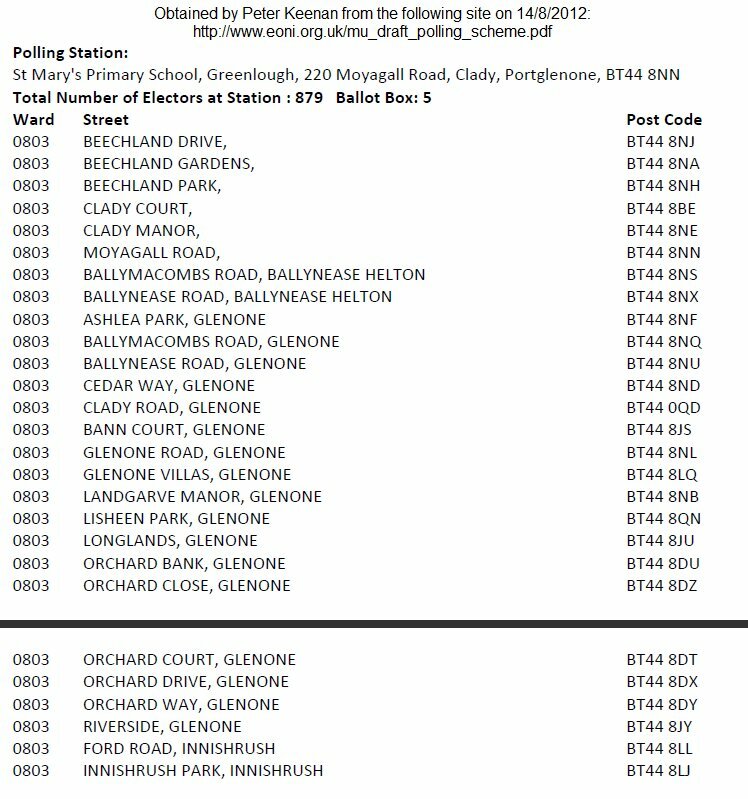 (This information is from	www.greenlough.com) . 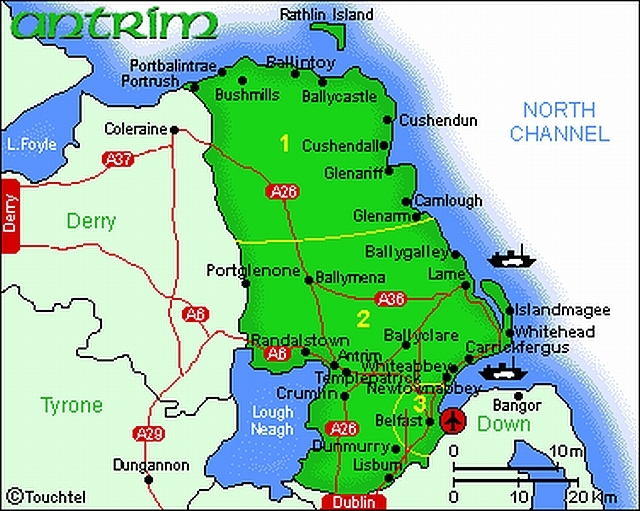 The two rivers are the River Bann and the Clady River. 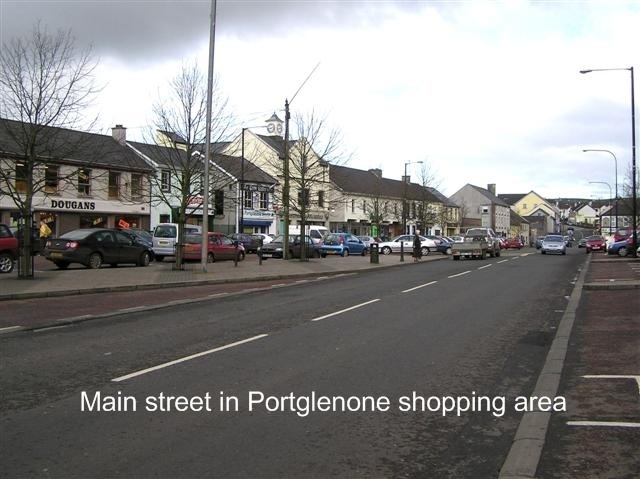 See this lovely promotional video featuring Portglenone and local businesses. Turn up the sound to get the local accent. Link to graveyard headstone transcriptions This is the Church Of Ireland graveyard in the parish of Tamlaght O'Crilly. 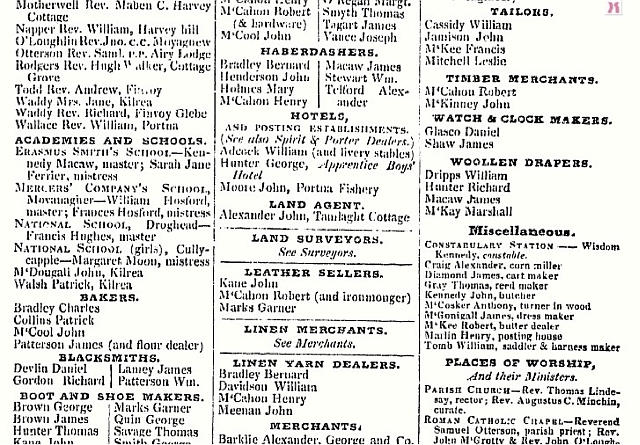 It mentions the names of Keenan and Gamble. 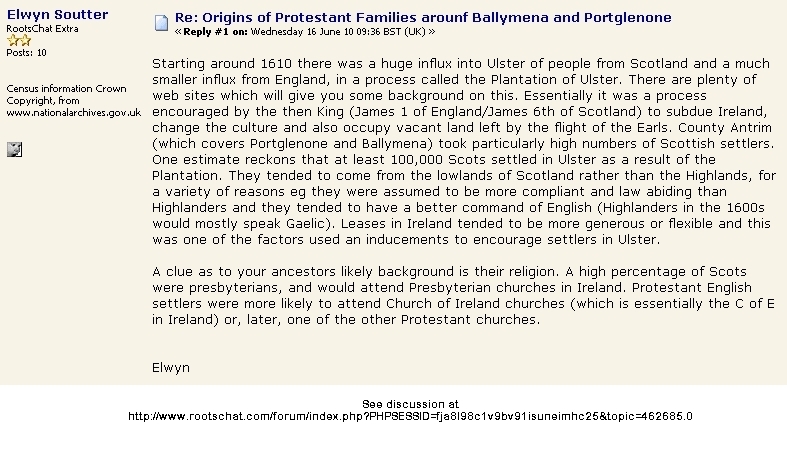 NOTE: There are also Keenan's who appear to be part of the same family buried at another site, the Church of Ireland in Portglenone (corner Ballymena and Townhill Roads)	(Henry and James Keenan). 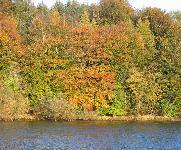 Photos of Portglenone Forest, flowers and river. 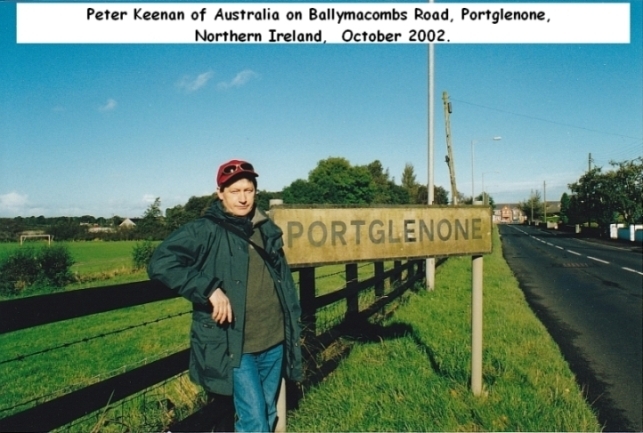 Early home of the Keenans in Glenone, Northern Ireland..
Photo supplied by Anne Waghorn, of Australia, a descendant of those Keenan's who settled in Western Australia in the mid to late 1800s. The home in Glenone has been demolished. 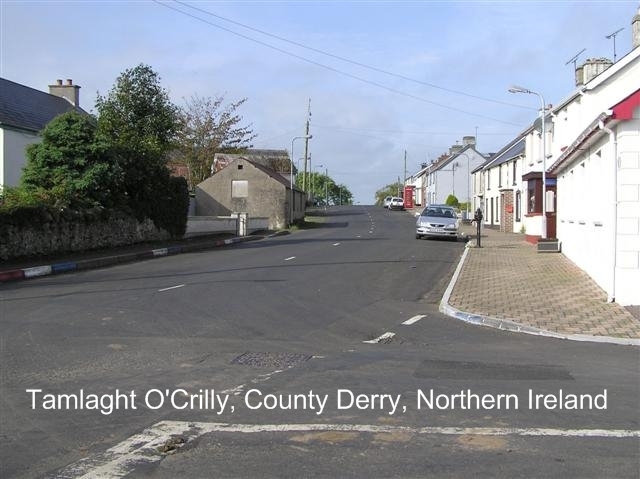 On a visit to the area in 2002 I was shown the site by Sheila Johnston (now deceased), a Keenan relative who was then living in Bangor, County Down, Northern Ireland. 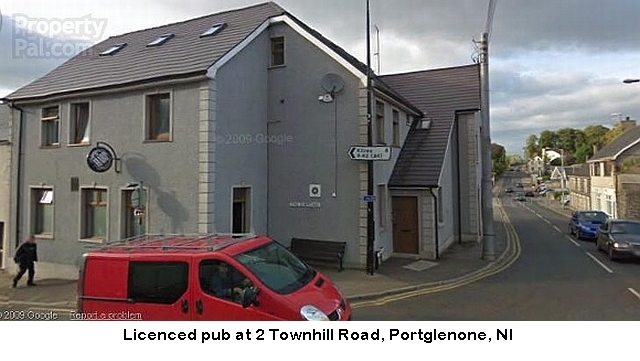 According to Sheila "there is a bungalow there now (Sept 2011) where the old Keenan home was. 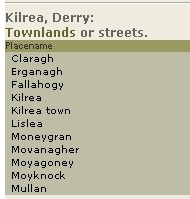 I think the man who lives there is a distant relative of Keenans". 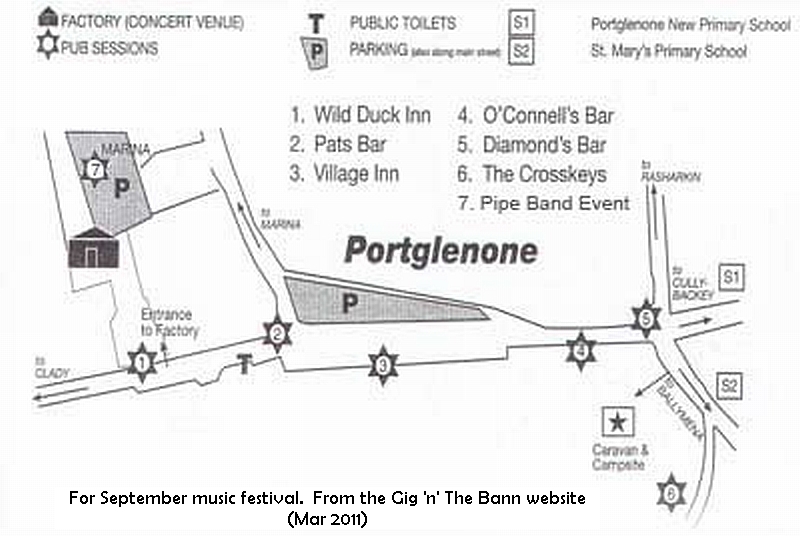 Sheila has provided me with a map with the site marked on it. It seems to be located at 50 Clady Road, Glenone, County Derry; well back from the left hand side of the road travelling East towards Portglenone, about half way between Kirea Road and Ballymacombe Road. 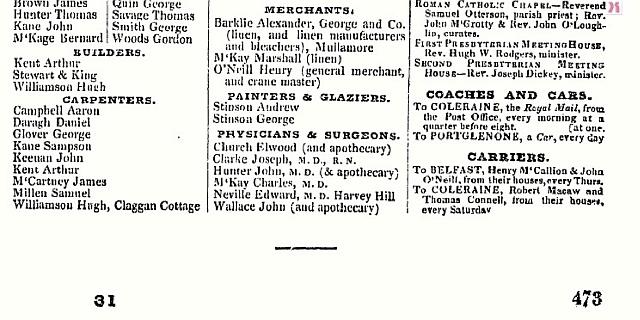 Subsequent research has suggested the address might be 59 Clady Road, Glenone. It appears the person living at this address (Feb 2017) is Robert Andrews. "Glenone National School, (Glenone PrimarySchool, also known as Bannside), built in 1836. 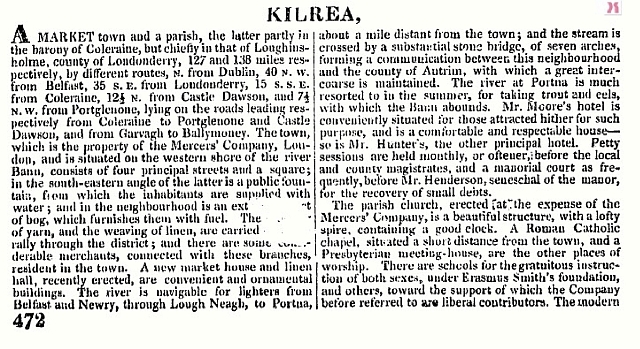 Glenone National, (later Public Elementary), School was built in 1836, near Portglenone Bridge, on a site donated by Daniel Daly, a local merchant. A two-storey building, 31ft. by 20 ft., with walls 1ft.10 in. thick, it had a slate umbrella roof and was built of black quarry stone. It had one door, 10 windows and an 8-dayclock on the wall facing the bridge. There were two outdoor toilets and a small shed. Boys were taught in the lower storey and girls in the upper. The total cost of the erection of the building was £155.75 and of this, the National Board contributed £103.85. The following are named as having given donations;- Rev John Rogers, PP of Tamlght £2; eight local merchants, W.H.Holmes, Daniel Day, John Daly, Sen., John Daly, Jr., Dr Heaney, Pat Mooney, John Hamil and James McEntire, all gave £1 each. The remainder, £36.90, was contributed by, "benevolent persons of all denomination, in sums equal to the circumstance". The school, then known as Glenone Primary, closed in 1962. The teachers at this time were Mrs Maura Clarke (Principal) and Mrs Margaret Fox. Glenone School was demolished in 1986." 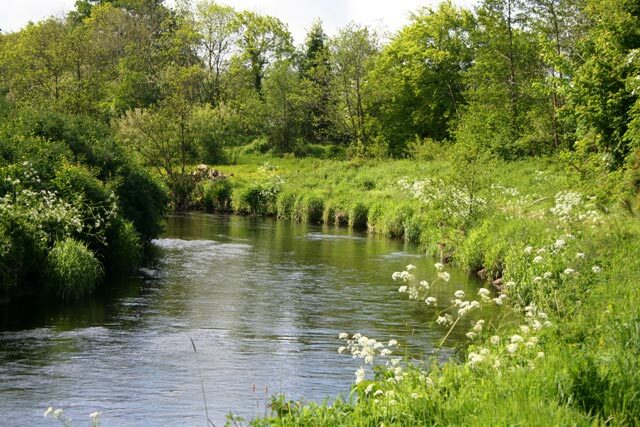 The book mentioned above - "Quiet Places of the Lower Bann Valley" - has been published on the Kiwi Celts website (http://family.kiwicelts.com/21_Places_and_History/Quiet_Places_of_the_Lower_Baan.html#Cranfield ). 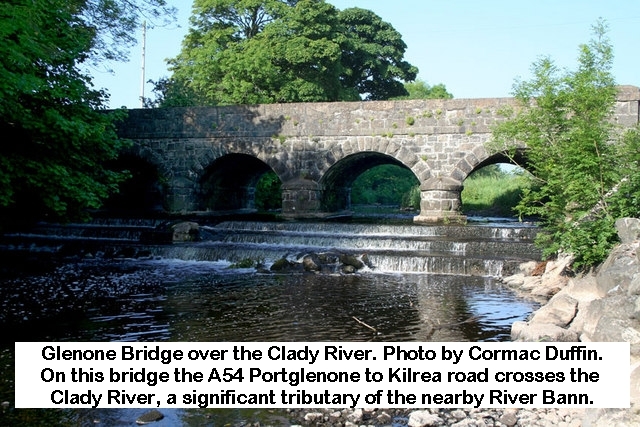 It mentions other sites and persons of historical importance, such as Clady, the Clady River and John Keenan, and has a number of photos of the Lower Bann area. A copy of the book, without the hyperlinks, is also published on this site. To see my PDF copy CLICK HERE. For my Word copy	CLICK HERE. 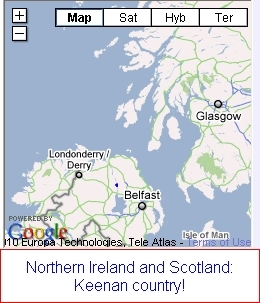 Recorded 19/1/2005 by the BBC (Ulster). 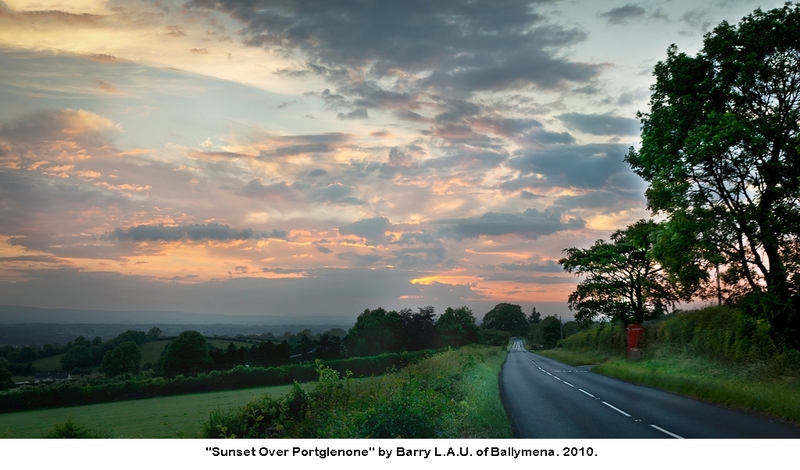 Conversations in Portglenone about accent, dialect and attitudes to language. Interviewer Conor Garrett. Interviewees: Vincent McAllister (b.1980), Michael McAllister (b.1945), Claire McCorry (b.1982) and Pearce (b.1989). Duration of recording: 1hr 3mins 4secs. Both Catholics and Protestants attended these schools. 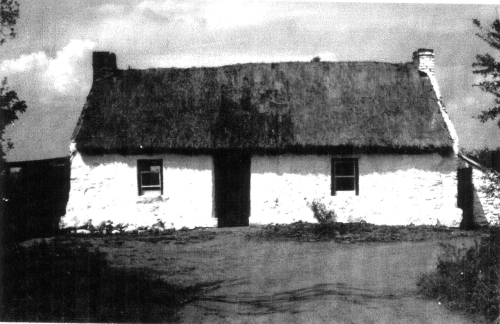 In 1838 Fr John McLaughlin built the first Greenlough National School on a site opposite the old Parochial House. 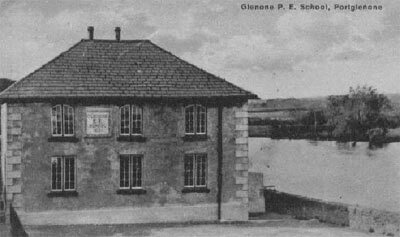 At the same time a National School was built alongside the River Bann in the Townland of Glenone. This was known as Glenone National School. The old Greenlough National School proved inadequate for the numbers attending and the parish priest converted the old stables at the edge of the graveyard into classrooms. The teacher’s illustrations can still be seen etched on the walls of the old stables. 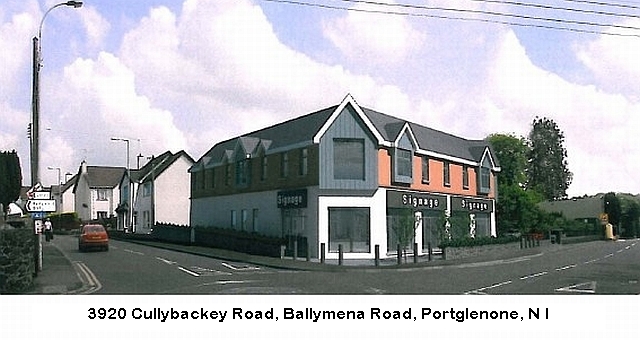 These two schools were later amalgamated in the modern Greenlough Primary School built at Moneystaghan in 1962." 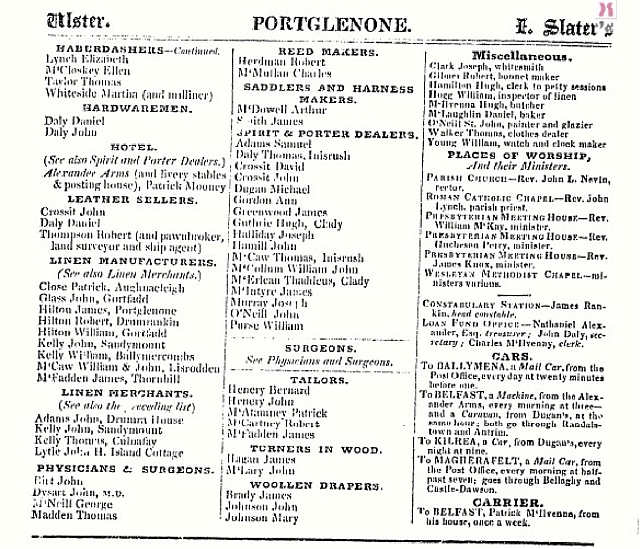 For an extract of the 63 Keenans in County Derry at the time, showing names, townland and parish, go to	http://www.failteromhat.com/griffiths.php and do a search. The same type of search can be done for any County. 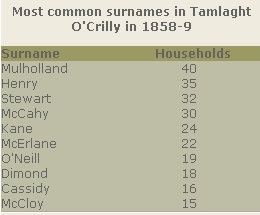 Henry Keenan of Ballybeg, Ahoghill, County Antrim, may also be an ancestor, as this area is close to Portglenone. 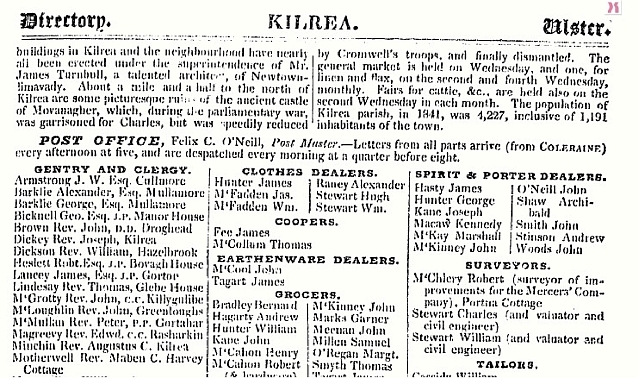 Kernohan's	The Parishes of Kilrea and Tamlaght O'Crilly. Published in 1912. 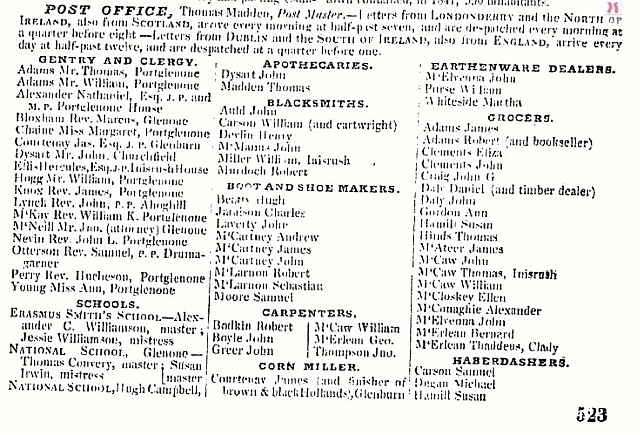 "Scanned images of Slater's Commercial directory of Ireland 1846. These are in PDF format so that they can be more easily viewed. Please note these files are large. The average size is 250k. 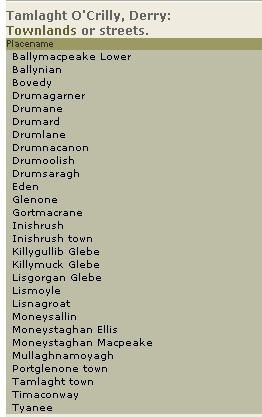 Slaters's directory goes through the towns of Ireland alphabetically. 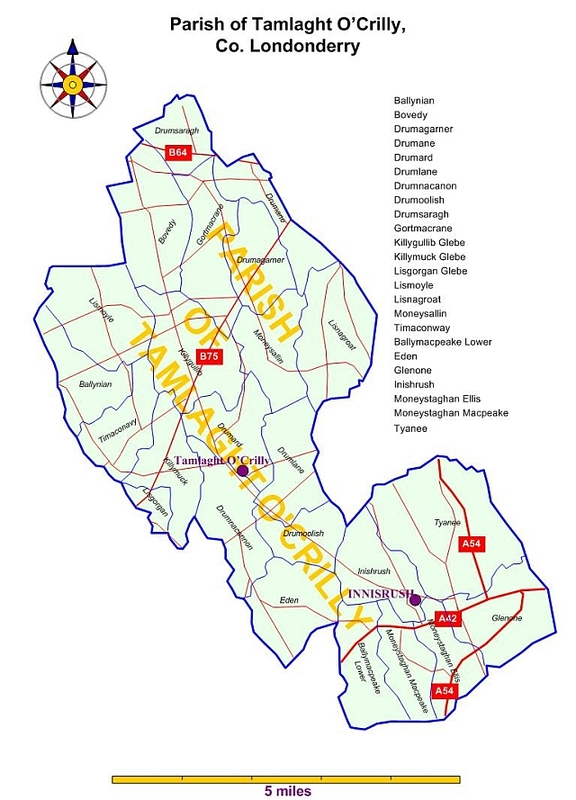 It lists a detailed description of the town or city, post office information and shows the names of nobility and gentry living in or close to the town. The traders of each town are arranged according to their trade." Henry John Keenan and James Keenan, who died in the 1700's, are buried here. I have photos of the gravesites, taken in 2002. 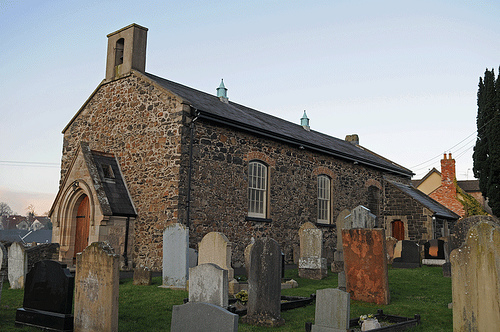 "Erected c.I735 by Francis Hutchinson, it became the parish church proper in 1840. Plain of appearance, the church is constructed of fieldstones. A tablet is erected inside the church to the memory of Dr Hutchinson, who is buried in a vault underneath the Sanctuary. Some of the old Communion service ware and a copper collection plate held by the church were gifts from St John O'Neill, who lived briefly in Portglenone Castle. He was an uncle of Lord O'Neill of Shane's Castle."